Not far from Austin, Texas lies the small town of Liberty Hill. This is the home of Sweet Liberty Creations. In a historic stone building, which originally housed the Stubblefield family in the 1870s, Diana Kipfer opened a gallery in 2004. Diana features her work along with that of other area artists. 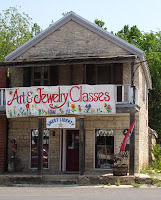 If you find yourself driving in the Texas Hill Country, stop by to see some of my glass pieces along with the paintings, pottery and jewelry of other local artists. 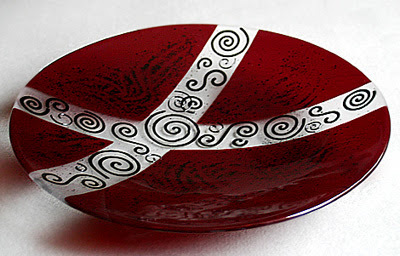 Here are a few pieces now available at Sweet Liberty Creations. 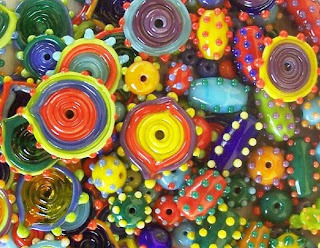 San Antonio glass artist Nina “Sam” Hibler captures all the fun and excitement of Feista in the brilliant colors and textures of these beads. I feel privileged to have had the opportunity to watch Sam make some of these beads and then work through the creative process to arrive at this finished piece. 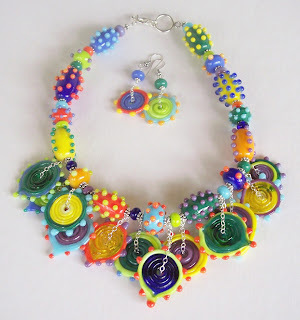 From individual beads to a collaborative work or color, texture, movement and sound, Sam brings Fiesta to the wearer of this whimsical necklace. Fiesta San Antonio may only last one week a year but Fiesta by Sam can be worn for a year round party. Additional examples of Sam’s fabulous work will be on display from May 5 - July 14 at the Heinz History Center in Pittsburg, Pennsylvania and July 26 – September 8 at Evoke Gallery in St. Paul, Minnesota, as part of the MetaMorphosis Exhibit the Life Cycle of a Glass bead. The MetaMorphosis Exhibit is sponsored by the International Society of Glass Beadmakers (ISGB). 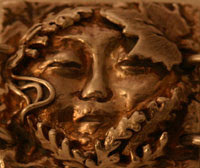 You might understand the reason for my nerves when you see the amazing work Liza does in fine silver. Not only is it lovely, it feels like silk when worn. Liza's style is equally balanced with an understanding of function. This makes for jewelry that stands the test of time.